On Oct. 13, 2014, something very strange happened to the camera aboard NASA’s Lunar Reconnaissance Orbiter (LRO). 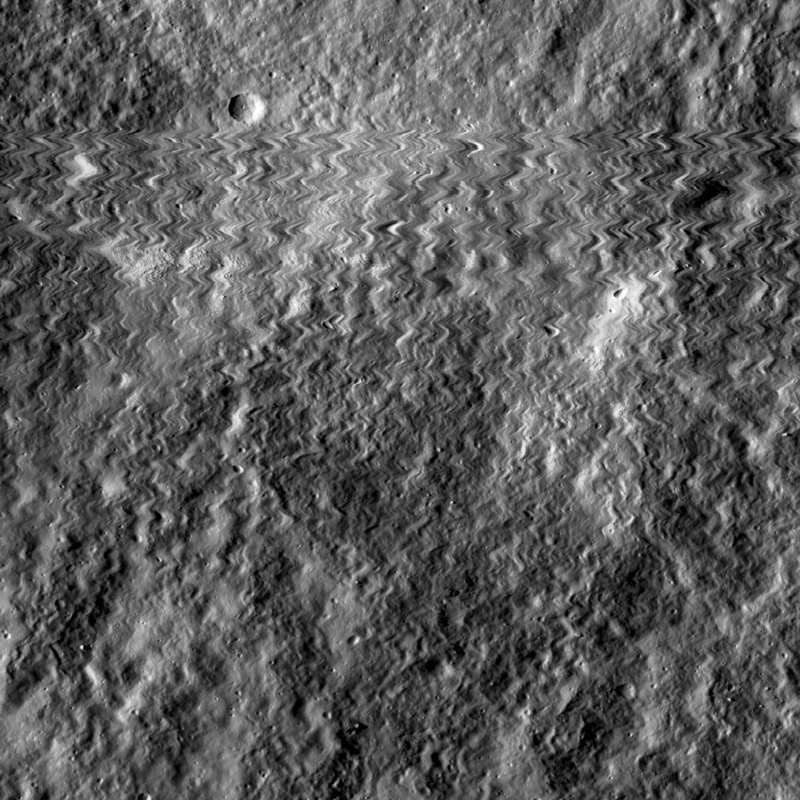 The Lunar Reconnaissance Orbiter Camera (LROC), which normally produces beautifully clear images of the lunar surface, produced an image that was wild and jittery. From the sudden and jagged pattern apparent in the image, the LROC team determined that the camera must have been hit by a tiny meteoroid. During LROC’s development, a detailed computer model was made to ensure the NAC would not fail during the severe vibrations caused by the launch of the spacecraft. The computer model was tested before launch by attaching the NAC to a vibration table that simulates launch. The camera passed the test with flying colors, proving its stability. Using this detailed computer model, the LROC team ran simulations to see if they could reproduce the distortions seen on the Oct. 13 image and determine the size of the meteoroid that hit the camera. They estimate the impacting meteoroid would have been about half the size of a pinhead (0.8mm), assuming a velocity of about 4.3 miles (7 kilometers) per second and a density of an ordinary chondrite meteorite (2.7 grams/cm3). Launched on June 18, 2008, LRO has collected a treasure trove of data with its seven powerful instruments, making an invaluable contribution to our knowledge about the moon.